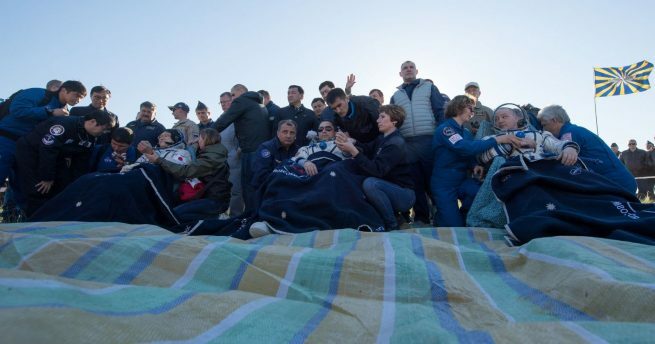 Soyuz MS-07 crew back on Earth after 168 days in orbit. 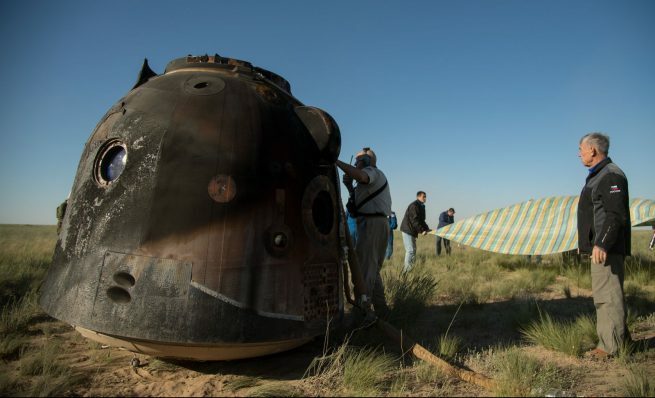 Russian cosmonaut Anton Shkaplerov, NASA astronaut Scott Tingle and Japan Aerospace Exploration Agency (JAXA) astronaut Norishige Kanai undocked from the ISS inside their Soyuz before landing several hours later at 8:39 a.m. EDT (12:39 GMT) June 3, 2018, on the Kazakh Steppe in Kazakhstan some 280 miles (450 kilometers) northeast of Baikonur Cosmodrome where the trio launched in December 2017. The undocking and departure occurred in several stages. First, once the hooks holding the spacecraft onto the ISS separated, springs gave Soyuz MS-07 an initial push of about 0.39 feet per second (0.12 meters per second). This slow coast lasted for about three minutes before a brief eight-second thruster pulse from the vehicle sped up the departure to about 1.2 mph (1.9 kph). 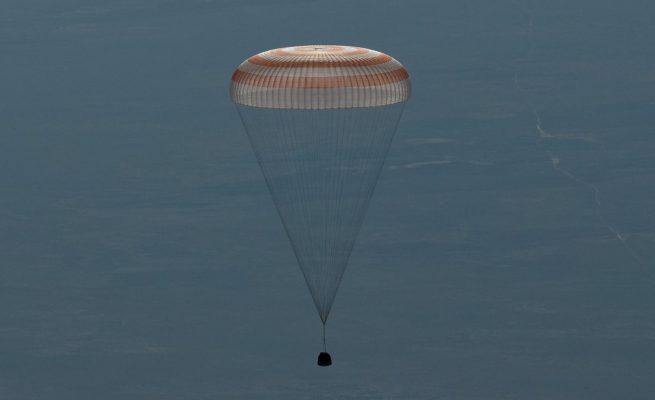 The Soyuz MS-07 descent module reached entry interface at an altitude of about 400,000 feet (122,000 meters). As the friction of the atmosphere started to slow the capsule down, the heat shield protected its occupants from the extreme heating. Quickly, the vehicle slowed down from about five miles (eight kilometers) per second to just 1.4 miles (2.2 kilometers) per second. This occurred in a span of about seven minutes and caused the trio inside to feel around 4.5 times the force of gravity. Once the velocity of the capsule was slow enough, a series of parachutes began to deploy culminating in a 10,764-square-foot (1,000-square-meter) main parachute that slowed the capsule to some 21 feet (6.5 meters) per second. Still needing to slow down even further, a final pulse by soft-landing engines fired about three feet (one meter) from the ground to cushion the vehicle. 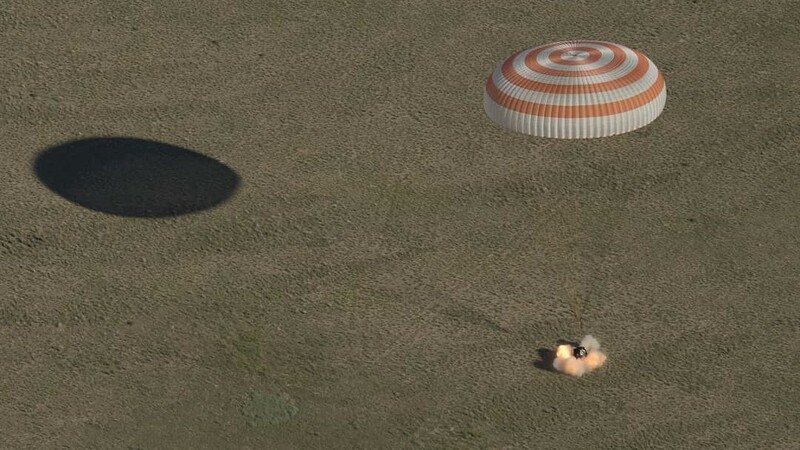 While the crew was securely strapped in, many Soyuz riders have describe last phase as similar to being in a car accident.